On the 9th June 2013 the last and final instalment of the “Riddick Series” comes to an all out explosive end. With more CGI and SFX than the previous episodes, the film promises to support a full-on Casting of well known Actors and Actresses who will give the movie a “Feel Good” sense and atmospheric overture. 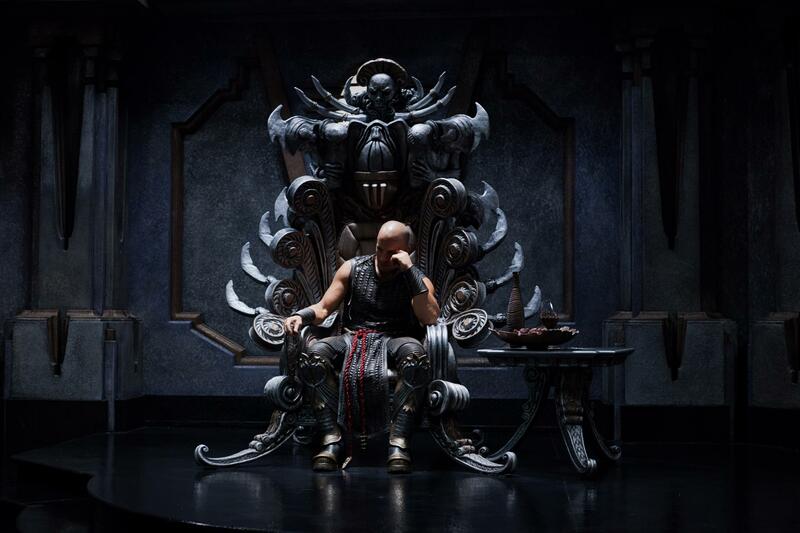 Franchise winner, Mr Vin Diesel – Riddick – has been the offspring starter and follower of the triple bill so far and has admitted that now is the time that “Riddick put up his boots and bow out of the multi-billion dollar series”. Here on The DVD Archive 2, we have the exclusive “Official Trailer” and in less than two months time, we will be “Reviewing” the film that has cast a long shadow over the criminal with the glowing eyes. Enjoy. RIDDICK 3 (OFFICIAL TRAILER) 2013. Posted in Cinema, Coming Soon, Film Exclusives, Trailers and tagged actors and actresses, glowing eyes, instalment, long shadow, New Riddick, Riddick, Riddick 3, Riddick Pitch Black, sfx, Silver Eyes, Vin Diesel, youtube. Bookmark the permalink.